I don't know if subduction is the right word to describe the phenomenon of air getting sucked down along the back side of a kayak paddle, but there I am using it. Dictionaries indicate that common usage of subduction only applies to the geologic phenomenon of one piece of the earth's crust getting shoved under another but here I am with no one to stop me and so I am expanding the usage of subduction. I mention subduction because it is a phenomenon that impacts paddle efficiency adversely but looks so normal when it happens that it's easy to miss entirely. Subduction happens because pulling the blade of a paddle through the water creates a low pressure region on the back side of the paddle. If the pressure is low enough, air will get sucked down along the blade of the paddle in response to the lower than atmospheric pressure there. The result is reduced efficiency of the paddle. Why? Because the amount of thrust you get from the paddle depends on the pressure difference between the front and the back of the blade. Furthermore, this phenomenon seems to happen only with paddles that have long narrow blades. At the start of the stroke with a long bladed paddle, only part of the blade is in the water and part of it is still out of the water, as you pull on the paddle, low pressure is created on the back side of the blade and the relatively flat surface of the blade that is sticking out of the water directs air down the back of the blade. I suspect that water coming off both edges of the blade creates stable vorteces on both sides of the blade with a low pressure area in the middle that becomes the pathway for air subduction. Commercial paddles with short, wide blades don't generate this phenomenon because the blade is fully immersed in the water before power is applied to it and the only thing sticking out of the water is the circular loom which does not produce any pathway for air to travel down to the low pressure area behind the blade. 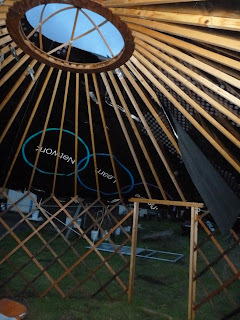 But the phenomenon of air subduction with a long skinny blade is not unavoidable. Depending on how the paddle is held and moved through the water the phenomenon can be avoided. If the paddle blade is moved sideways as well as straight back, water moving across the face of the blade will not form the vortices that allow air to travel down the face of the paddle. Since air subduction is dependent on low pressure on the back of the paddle blade, the lower the pressure, the higher the likelihood of subduction. Pressure is force divided by area so the same amount of force on a smaller area will create a greater pressure differential. And since on paddles with long narrow blades, only part of the full blade area is submersed at the start of the stroke, much more of a pressure differential is created across the face of the blade than in a paddle with a short wide blade where the whole blade is already fully submersed at the start of the stroke. Lee board on a shallow draft Dutch craft. The lee board deployed. The angle at which the board is deployed controls the amount of lateral resistance that the board supplies. The backward rake also allows the board to kick back and out of the way harmlessly should it hit bottom. Not surprisingly the phenomenon of air subduction can appear anywhere that you move a fin shaped object through the water like for instance a lee board on a sail boat. 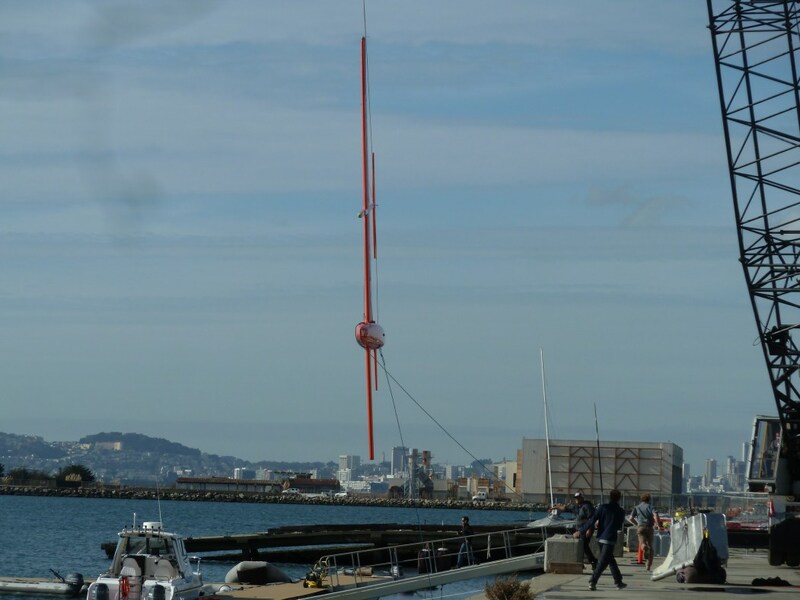 The purpose of the lee board is to provide lateral resistance to a sail boat when it is sailing at an angle to the wind. 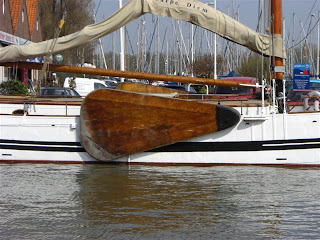 Some sail boats use keels to achieve the same results but lee boards are more handy in places where the water is shallow. And they don't take up space in the cargo area of the boat like a centerboard does. Lee boards are generally used on relatively slow moving boats which cargo boats generally are. And the triangular shape of the lee boards on Dutch craft puts most of the surface area of the board toward the bottom of the board, keeping the top of the board relatively narrow to minimize air subduction. A slightly related phenomenon to air subduction is cavitation. Unlike air subduction which happens when a foil pierces the surface of the water, cavitation generally happens when a foil is moving rapidly while fully submerged. If the speed of the foil is sufficient, it can create pressures low enough to cause water to vaporize. If you remember your high school physics, the temperature at which water turns from a liquid to a gas gets lower and lower as pressure drops. The net effect of water turning to vapor is the same as air getting sucked into the water, it reduces the efficiency of the moving foil. Generally, cavitation occurs in high speed propellers, but it can also happen in vertical fins on fast moving water craft like the one I posted about a few days ago. Read more about it on the Vestas sail rocket site. 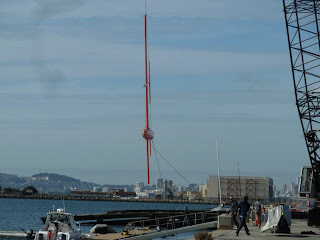 New speed records for sail powered water craft are being set constantly. 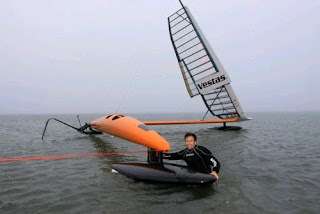 The latest by the Vestas sailrocket is 65.45 knots. Of course these are records set under ideal conditions. One should not expect cargo carrying sail boats to reach these kinds of speeds. Still, regardless of limitations these records are impressive and raise the question, what makes these speeds possible and why weren't they achieved in the past? In other words, what has changed? I suspect the answer to the question is multifaceted. 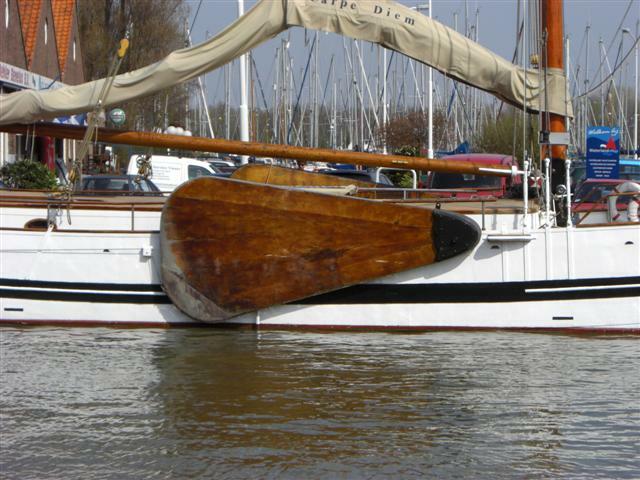 Perhaps the biggest impediment to new boat designs was tradition. It took a while to apply airplane technology to sail design. 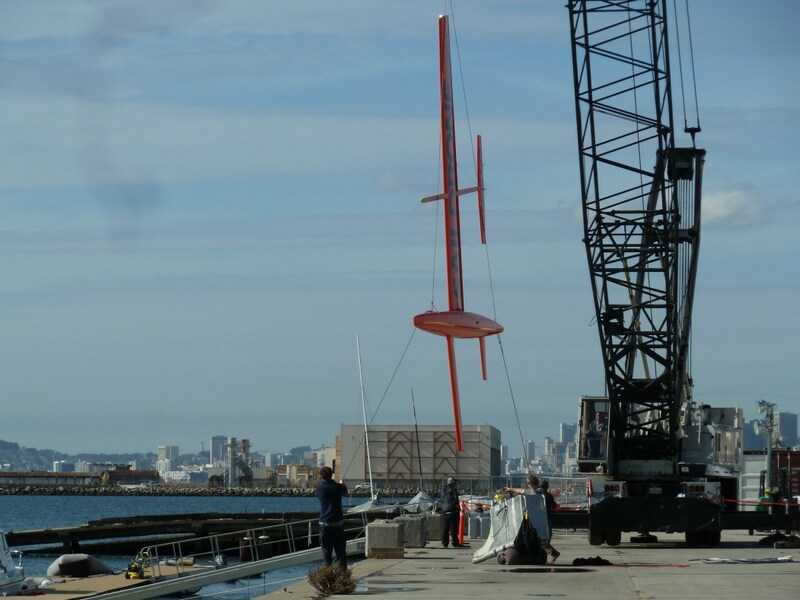 It also took a while to bring the weight of a sailing craft down enough so a sail could generate enough power to make the sailing craft rise on a hydrofoil. Speed in a watercraft seems to be limited by friction between the craft and the water and minimizing that makes new records possible. But in the past, new, faster sail boats evolved from working craft that had to operate under all conditions and not just special race course conditions. One thing that is apparent from watching the videos of sail records being set is that the wind seems to be off shore with the craft racing alongshore, thereby avoiding waves. And there are any number of other things that a useful work boat has to be able to do that a racing craft cannot do. 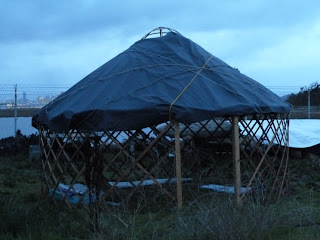 Still, new ideas are always welcome. 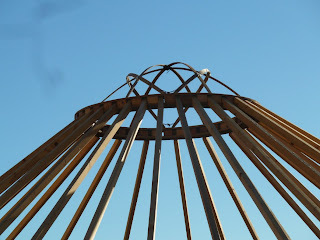 I am looking forward to seeing recreational versions of these craft. Who knows, perhaps a skin on frame model that does 20 knots would be a fun experiment. Planing hull, no hydrofoils. The little experimenting that I have done with putting sails on skin on frame kayaks has taught me that the inherent flexibility of skin on frame hull limits how much sail one can carry. The faster the boat is expected to go, the stiffer it needs to be, or in any case, stiffer than a boat that travels at 4 knots. 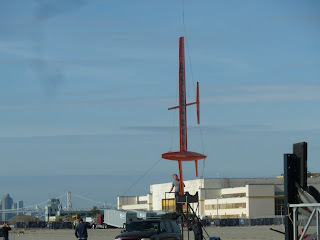 While driving to work a few days back I noticed some people hoisting a small red airplane looking thing from a trailer. 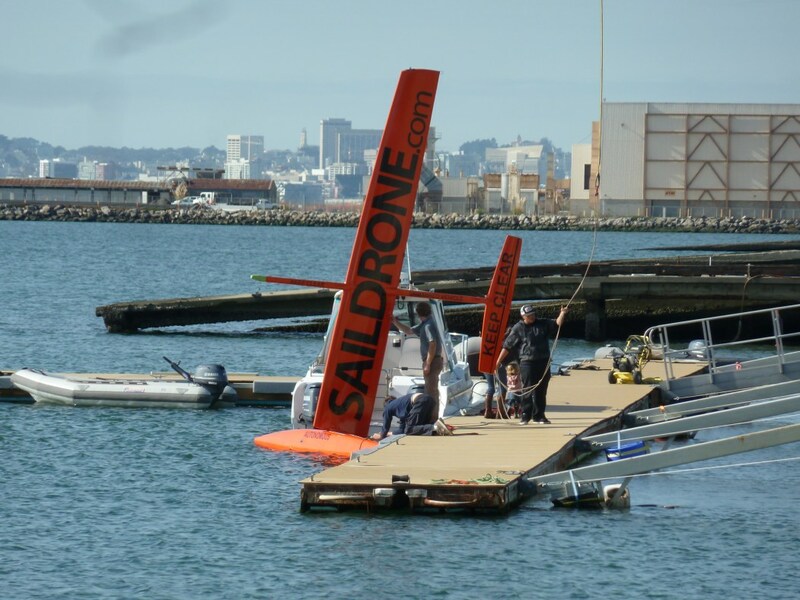 As the lettering on the wing of the thing indicated, it was a saildrone. When I got home I went to their website http://saildrone.com. There wasn't anything there except a home page, but they have since fleshed it out some. 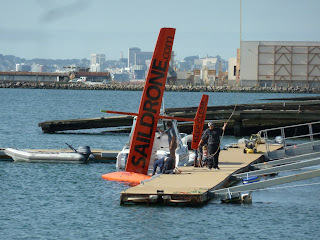 Anyway, some pictures of the saildrone. 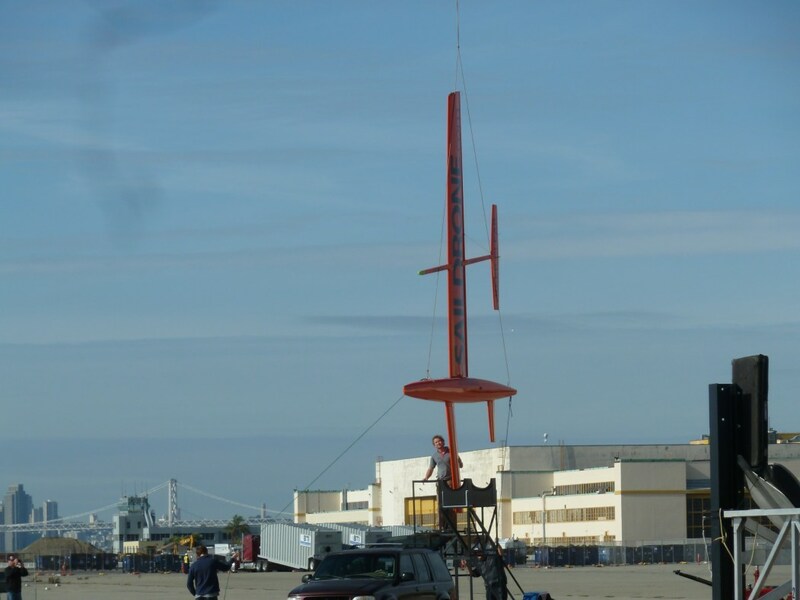 Here they are unloading the saildrone from its trailer. At a distance it looks like the tail is at right angles to the main wing but that's an optical illusion. The horizontal spar that the tail is mounted on is actually at an angle to the horizontal plane and that creates the illusion. 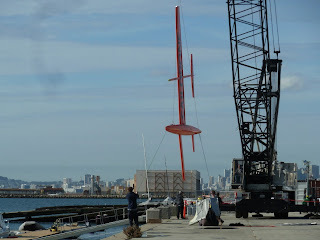 That's a lot of crane to unload this small a thing, but the crane was already in place to take the Swedish Americas cup boat in and out of the water. OK so some overkill is justified. The head on view shows the arrangement of the verticals. And here it is sitting in the water. 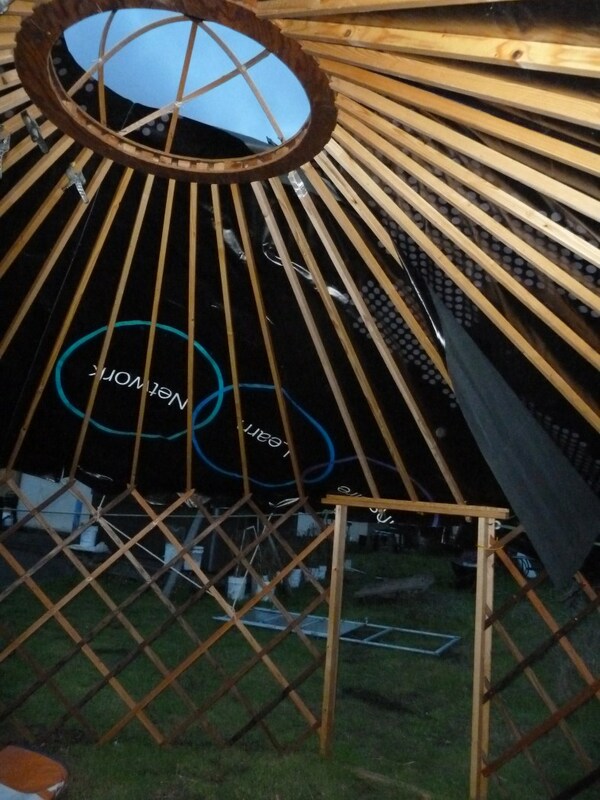 Even with a little wind blowing, it heeled way over. More ballast, I would think. I also can't picture something this small operating autonomously in the ocean with breaking waves. Snap that thing in pieces in no time and bend the heck out of any metal. But I might be wrong.